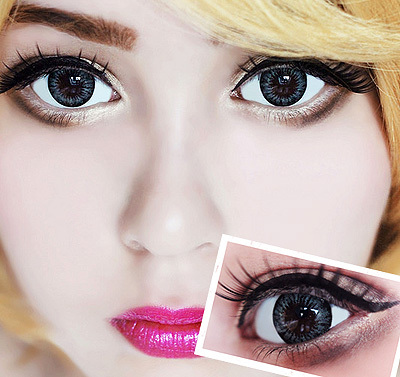 With these beautiful big eyes contact lenses you will shine during any meeting - no matter the occasion. The grey coloring of the inner area of ColourVue Big Eyes Evening Grey contacts looks a bit metalic - it's very distinct and shiny. That's not all - the outer edge of the lens assures that your eyes look bigger than normally which gives them an amazing sexappeal.